Jenny Bent is the founder of The Bent Agency, one of New York’s most successful literary agencies. After graduating from Cambridge University in England, Jenny soon found herself working in the books and fiction department of Ladies Home Journal. Her passion for books and her skill for spotting a good story brought her to the attention of The Sagalyn Literary Agency in Washington, D.C. where she was promoted to their Foreign Rights Manager. She developed her career as a literary agent at the Harvey Klinger Agency in New York, until moving to the Trident Media Group. After 6 years as their Vice President, Jenny left to establish her own literary agency in 2009. 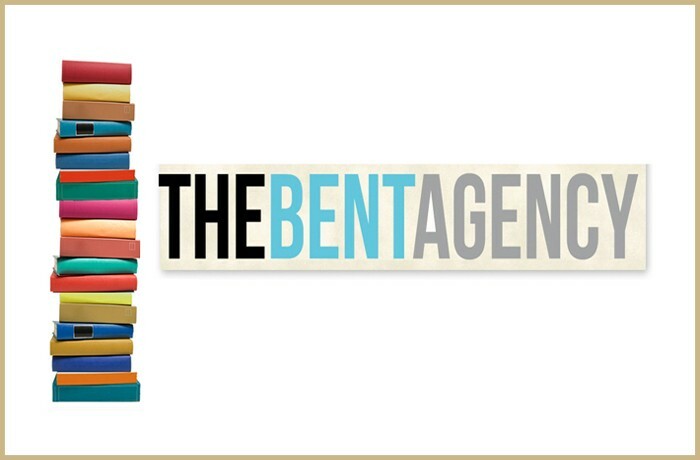 In just a few short years The Bent Agency now has a roster of international best-sellers to its name, and they continue to look for new voices to add to their client list. Jenny herself represents clients in Fiction, YA, Middle Grade, and Non-Fiction. Please note she does not accept manuscripts in the following genres: Science-Fiction, Poetry, Picture Books, Textbooks/Academic Books, Serious History, Biography, Political Science/Policy, Business, Reference, or Sports. Jenny Bent also writes an excellent blog, and for those writers not on Twitter, her timeline alone makes it worthwhile signing up. You previously worked for one of the largest literary agencies in New York. What did you learn from that experience in setting up and running your own successful literary agency? I've actually worked at a few different agencies, large and small, since I first started my career in publishing in the early 90's, so I've been fortunate to learn from a number of very good agents. I learned to be honest and ethical, to pay people quickly, to be as responsive as possible, to be open to opportunities and most importantly, to be very persistent when it comes to negotiating and advocating for my clients. How many submissions do you receive per month, and what percentage of them are from writers who do not respect your specific guidelines? I get 50 to 100 queries a day. I would say that about 30% of those don't adhere to the guidelines. One of my interns wrote an excellent post about that, here. You have a passion for strong loglines and a one paragraph description of the book in question. What is it about these two particular aspects of a query letter that you believe so represents the quality of the writer submitting to you? Well, agents are in the business of pitching-we pitch all day long, to editors, to foreign rights people, to film agents, etc. So a strong log line shows me that this will be a book I can pitch successfully. Nothing is worse than describing a project to someone and hearing dead silence from the other end of the phone or from across the table at lunch. And a good paragraph description shows me that the author has a good grasp of plot, which is so important in a novel. Do you respond to all queries? And if so, are there a tier of different rejection letters used based on the query? I do respond to all queries, yes. We have an auto response which acknowledges receipt and then we also respond to each query after we read it. There are different letters that we use but they all, I hope, convey a real respect and appreciation that the author wrote to me in the first place. How many writers has your agency signed from the slush pile in the last year? A great many! Susan Hawk and Molly Ker Hawn are both still building their lists, so many of their clients come that way. And I love discovering new authors in my queries in-box and during the last year I have probably offered representation to at least four or five authors that way. I also just did a short series of blog posts on two authors that I signed from unsolicited queries in the last year. You can read them here and here. What would you say to an unpublished writer who believes the avenue of self-publishing is more advantageous to them than having a literary agent? I wouldn't try to talk them out of that position because it really might be. Especially for projects that are a bit edgy or hard to characterize, self-publishing is a great option. The only caveat is that it takes an enormous amount of time to really do it successfully and many self-published authors do eventually decide that they want to go the traditional route so that they will have more time to focus on the craft of writing itself. For those interested in sending you their manuscript, how should they approach you? And what genres do you prefer to represent? Our submission guidelines can be found here, but in a nutshell, email me at queries@thebentagency.com and include the first ten pages of your manuscript in the body of your email. I represent women's fiction, historical, young adult and middle grade fiction, humor, memoir, crime fiction and romance. Here's a link to some of my recent deals.